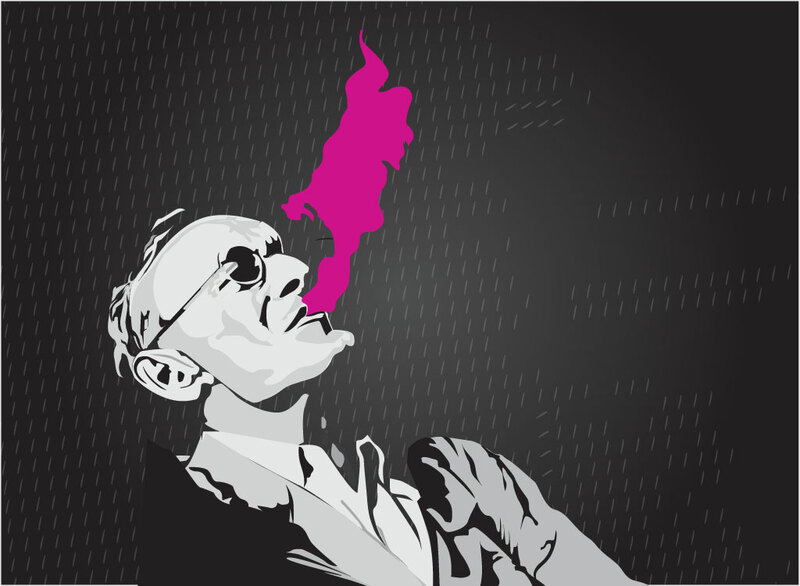 This free vector download features a portrait of Hermann Hesse, German Swiss artist. Poet, novelist and painter he is famous for his works on the search for knowledge and self-awareness. This stylish graphic features a grayscale image with pink smoke flowing from his mouth. Perfect for fan art and pinups. Tags: Artist, Creative, German, Hermann Hesse, Novelist, Painter, Poet, Smoking.